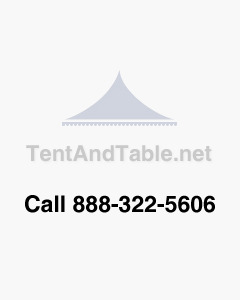 “Seller” is Tentandtable.com, LLC, a New York corporation. “Buyer” is the person, company or entity purchasing the product(s) or device(s) by this order. We accept this order for the product(s) or device(s) listed on this sales order. Buyer has read and fully understands and agrees to these terms and conditions set forth at: http://tentandtable.net/terms-conditions. No different or additional terms will be accepted by Seller without written consent of authorized Seller personnel. Seller is not responsible for clerical or typographical errors made on any of its documents, quotations, or literature. All charges are subject to the federal, state and local taxes, if any. Buyer shall pay such taxes imposed on this order, and all penalties and interest, if any, accrued therewith. All duty and or taxes owed for international orders will be paid by Buyer to custom authorities for their respectful country. IF BUYER IS WITHIN THE STATE OF NEW YORK, BUYER IS SUBJECT TO NEW YORK SALES TAX ON ALL PURCHASES, UNLESS “SELLER” IS SUPPLIED WITH A VALID AND COMPLETED NEW YORK STATE CERTIFICATE OF EXEMPTION (ST-120) FORM. IF BUYER CHOOSES TO PICK UP THEIR ORDER DIRECTLY FROM SELLER’S NEW YORK FACILITY, BUYER WILL BE SUBJECT TO NEW YORK SALES TAX. a) Full 100% payment is due on all orders prior to shipping, unless otherwise agreed to in writing by Seller. Partial payment equal to 33% must be paid to Seller at time of order to reserve a production space on the production schedule. Custom orders require a 50% partial payment in advance of starting any orders. b) ORDERS PLACED WITHOUT A DEPOSIT WILL NOT BE STARTED UNTIL A SECURED DEPOSIT HAS BEEN RECEIVED. c) The estimated ship date for all products is 48 hours from the date the order is fully paid. d) Final payments on all orders must be received within 90 days of the order being placed, or the stock for that order will be released. e) Seller is not responsible for monitoring final payments. It is the Buyer’s responsibility to keep track of their payments and balances due. f) Final payments must be received in the form of certified funds, money order, bank wire transfer, cash or credit card. Company or Personal Checks require ten (10) business days for funds to clear before shipment is released. g) RETURNED CHECK POLICY: In the event that a check is returned and marked as non-sufficient funds (NSF), Buyer agrees to pay a $25 returned check fee to Seller and make new payment arrangements within three (3) business days of written notice. Seller reserves the right for any legal remedies, if necessary. a) THE SHIP DATE IS APPROXIMATELY 48 HOURS AFTER SELLER RECEIVES FULL PAYMENT. IT IS NOT A PROMISE DATE. b) “Seller” utilizes the services of several common carriers to handle the delivery of their products. c) Whenever possible Seller will offer the discounts afforded to Seller to the Buyer for their shipments through the specified carriers Seller deals with. d) Unless a carrier is specified by Buyer, Seller will use, at its discretion, its best-way carrier to get the product to the Buyer. e) Seller is not responsible for delays in shipping due to weather, union strikes, fires, floods, freight embargoes and/or acts of governments. f) Shipments requiring a lift gate style truck to unload Seller’s products or requiring residential delivery may be subject to additional shipping charges. Buyer is required to inform Seller if these services are required in advance of shipment and is responsible for any such additional charges incurred. g) DAMAGES CAUSED BY SHIPPER ARE NOT THE RESPONSIBILITY OF SELLER. Freight carriers’ policies for handling of damaged goods during shipping must be followed to assure that claims are handled properly in the event that Seller must collect back damaged shipment to repair. This will assure that Seller is reimbursed for any expensed incurred in the repair of damaged goods. IN ADDITION, BUYER IS RESPONSIBLE FOR INSPECTING THE SHIPMENT FOR DAMAGE AND OR ANY LOSS IMMEDIATELY UPON RECEIVING SHIPMENT, AND MUST NOTIFY SELLER AND PROVIDE ANY NEEDED DOCUMENTATION (INCLUDING PHOTOGRAPHS) TO SELLER WITHIN 24 HOURS OF RECEIVING SHIPMENT. a) Defects in the materials and the workmanship. b) Defects arising from the selection of materials or the process of manufacturing. c) Defects in the design, in view of the state of the art on this date (artistic license excluded). SINCE PRODUCTS ARE NOT MANUFACTURED BY SELLER, the seller will only honor the limited warranty, if any, provided by the original manufacturer of such products, to the time limits listed above for the products listed above. IN CASES OF DEFECTS IN MATERIALS, WORKMANSHIP OR DEFECTS ARISING FROM THE SELECTION OF MATERIAL OR PROCESSES OF MANUFACTURE, SUCH DEFECTS MUST BECOME APPARENT IN THE PRODUCT WITHIN THE APPLICABLE WARRANTY PERIOD DESCRIBED ABOVE, AND SELLER OR ORIGINAL MANUFACTURER MUST BE INFORMED DURING THE APPLICABLE WARRANTY PERIOD. The extent of Seller’s liability under this limited warranty is to defects in material or workmanship and Buyer’s sole remedy is limited to replacement of the defective material. Damages for defects arising from the selection of material or the processes of manufacture are limited to the repair of such defects or to the repair of replacement (with item free from the defect in question) of any product DISTRIBUTED by Seller, which is defective in any of such respects with the exception of color fading. The extent of Seller’s liability under this warranty as to defects inherent in design is limited to the correction of all such defects becoming apparent in the Seller distributed products. Seller is not responsible for any lost revenue as a result of a warranty claim by buyer. d) WEAR AND TEAR DUE TO NORMAL USE OR OVERUSE IS NOT COVERED BY THIS WARRANTY. If it appears during repair inspection that the product is damaged due to overloading or misuse by its patrons, the affected areas will not be covered under our normal warranty. e) SELLER IS NOT RESPONSIBLE TO REPLACE ANY PRODUCT AS A “LOANER” PRODUCT DURING A REPAIR OF A WARRANTED PRODUCT. If a “LOANER” product should be available during the repair, at Seller’s discretion, Buyer will responsible for all round trip shipping charges and any damages caused to the inflatable supplied. f) Seller shall make all such repairs, replacements and corrections with care. g) This limited warranty shall become void if product is packed wet or repaired by any other repair agency not approved by Seller. h) A product shall not be considered defective if it is a different color than shown in the Seller catalog or website and no warranty is made relating to zippers, color, Velcro, digital printing or any airbrushing done on any product. Airbrushing and painting may chip or peel due to the type of vinyl paint manufacturers are required to use to comply to EPA (Environmental Protection Agency) regulations. PAINT USED ON AN INFLATABLE IS A WATER BASED SUBSTANCE THAT MAY NOT TOTALLY ADHERE TO ALL VINYL SURFACES WHEN APPLIED. SELLER MAKES NO OTHER WARRANTY OF ANY KIND WHATSOEVER, EXPRESSED OR IMPLIED; AND ALL IMPLIED WARRANTIES OF MERCHANTABILITY AND FITNESS FOR A PARTICULAR PURPOSE WHICH EXCEED THE AFOREMENTIONED OBLIGATION ARE THEREBY DISCLAIMED BY SELLER AND EXCLUDED FROM THIS AGREEMENT. In no event shall Seller be responsible for damages including, but not limited to, consequential damages, liquidated damages or lost profits of any nature whatsoever. Buyer’s damages, as against Seller, are limited to whatever amount Buyer actually paid to Seller per this order. USED PRODUCTS, WAREHOUSE SALE PRODUCTS AND/OR DEMO PRODUCTS CARRY NO WARRANTY, EXPRESS OR IMPLIED, OF ANY KIND. ALL SALES ARE FINAL, AS IS, WHERE IS, WITH ALL DEFECTS KNOWN OR UNKNOWN. THERE ARE NO EXCHANGES OR RETURNS. IF YOU PURCHASE A USED PRODUCT USING A CREDIT CARD, YOU SPECIFICALLY WAIVE ANY RIGHT TO DISPUTE ANY TRANSACTION FOR A USED PRODUCT. Seller shall be responsible, at its discretion, for round trip ground freight to and from Seller’s facility for the first 90 days after the date of delivery using a Seller approved freight carrier within the 48 contiguous states and not to exceed a maximum of $600.00 USD. Warranty claims made after the initial 90 day period requires Buyer to pay the cost for inbound shipping charges to Seller's facility and Seller will pay the return shipping cost to Buyer. IT IS IMPORTANT TO CHECK ALL ORDERS IMMEDIATELY WHEN RECEIVED! All returned shipments must be pre-approved by Seller and a return authorization (RA) number issued; if not, Buyer will be responsible for any freight charges incurred. a) A RETURN AUTHORIZATION (RA) NUMBER WILL BE ISSUED TO THE BUYER FOR ANY REPAIR, INCLUDING WARRANTY CLAIMS. b) Products received by Seller will be examined by repair staff and an estimate for necessary and recommended repairs will be sent to Buyer for approval in the form of a fax or email. c) Once approved by Buyer, repairs will be scheduled and completed. Repair orders must be paid for in full following Seller’s normal payment terms before shipping back to Buyer. a) Buyer must advise Seller of the product needing repair. b) A RA Number will be issued to Buyer acknowledging the repair. c) A photo or photos of the inflatable with the area that is being claimed is emailed to Seller authorized representative. This photo must include a scale reference and location on the inflatable where damaged areas are located. d) Seller will make an initial determination of the repair being a valid warranty claim. e) Repair center recommended by Buyer will be contacted by Seller supervisor to determine capability of repair center to handle the repair. Note: Not every recommended repair center will be accepted by Seller for repairs of Seller manufactured products. f) If repair center is accepted by Seller, the inflatable will be sent to this center, at Buyer’s expense, for inspection by repair center. g) A written estimate detailing the repair and potential causes for the damage will be sent to Seller to review. h) If repairs are accepted as warranty related, Seller will issue a Purchase Order (PO) to the repair center for the repair. i) Seller will NOT pay for any rush charges for repairs of any warranty related items. Scheduling of repairs by outside repairs centers will be handled by Buyer. j) Seller will ONLY pay for repairs linked to a valid warranty situation of the product. Any additional repairs not covered by warranty will be the responsibility of Buyer. k) The areas repaired by any outside authorized repair company will be void of any further warranty of Seller. Those repaired areas will be the ongoing responsibility of the repair center handling the repair. Buyer shall inspect the product(s) promptly after receipt and shall notify Seller in writing of any claims, including claims of breach of warranty, within fifteen (15) days after Buyer discovers or should have discovered the facts upon which the claim is based. NOTE: Damage caused by shipping company is not included in this claim to Seller. Failure of Buyer to give written notice of a claim within the inspection time period shall be deemed to be a waiver of a claim for defective products, a waiver of the right to reject the goods, and conclusive proof that the product(s) were received by Buyer without defect(s). SELLER DISCLAIMS ANY RESPONSIBILITY WHATSOEVER TO BUYER OR TO ANY OTHER PERSON FOR INJURY TO PERSON OR DAMAGE TO OR LOSS OF PROPERTY OR VALUE CAUSED BY ANY PRODUCT WHICH HAS BEEN SUBJECTED TO MISUSE, NEGLIGENCE, OR ACCIDENT; OR MISAPPLIED; OR MODIFIED OR REPAIRED BY UNAUTHORIZED PERSONS; OR IMPROPERLY INSTALLED, OPERATED OR MAINTAINED. All dimensions and weights stated in the catalogues or instruction material pertaining to products sold by Seller are approximate and within industry tolerances. Seller, at its discretion, may substitute standard colors for similar colors if deemed necessary to complete an order on time. Seller is not responsible for color matching of products based on photographs or computer generated illustrations. Suppliers of vinyl materials used in Seller manufactured products cannot guarantee that each roll or batch of a listed color will be exactly consistent; therefore Seller cannot guarantee exact color consistency. Seller, at its discretion, may change or alter a design for any Seller manufactured product, without notice to Buyer, if there is discovered to be an issue of safety or structural integrity. All logos, product names, trademarks, artwork, literature, photographs and designs used for the purpose of selling Seller products, including Seller manufactured products, are proprietary, and Seller has the sole rights and license for use of these items. Any unauthorized reproduction of any of these items constitutes a copyright infringement and is punishable by law. Prices are subject to adjustment if Buyer requests changes in specifications, quantities, or delivery requirements. All paragraphs of these terms and conditions shall apply to the goods to which such changes apply, and no modification of the terms and conditions hereof shall be binding on Seller unless contained in writing signed by authorized Seller personnel and expressly stating both that such terms are being modified and the nature of such modification. This order cannot be changed from date of order without acceptance by Seller. Any changes requested are subject to re-quotation of the final cost of the item purchased. Buyer may cancel this order, in whole or in part, upon written notice to Seller within (2) business days from date of order OR prior to shipping, whichever is sooner. Buyer may be liable for the payment of any cancellation charges resulting from cancellation incurred by Seller, including but not limited to applicable credit card fees. Orders canceled after two (2) business days may be subject to, at Seller’s discretion, forfeiture of any deposit placed by Buyer to start order if: production has started; materials have been ordered; or product has been reserved causing Seller a loss of potential business. For any item purchased from Seller, Buyer has 30-DAYS from the date of receiving item to contact Seller for a refund and return authorization. A re- stocking fee of twenty-five percent (25%) of the price of the item(s) returned will be paid by Buyer. Buyer will be responsible for any and all charges for the shipping of the item(s) returned. The items must be in an unused condition when returned. Any necessary repairs required to bring the item(s) returned to a like new condition will be paid by Buyer. SELLER WILL NOT ACCEPT RETURNS FOR ANY CUSTOM MANUFACTURED PRODUCTS. All products returned, regardless of the reason, must be clean and dry. If your returned product requires cleaning, you will be charged a $500 professional cleaning fee. This amount will be automatically deducted for any refund, or must be paid prior to the release of any exchanged product. If, upon management approval, your exchange is shipped prior to receiving and inspecting your returned product, a $500 credit card hold will be required prior to shipping the new product(s). This hold will be released once we verify that the returned product(s) are clean. If they are not clean, then this amount will be charged as the cleaning fee. In the event of litigation or any dispute between the parties concerning the order or any product(s) shipped to Buyer hereunder, such action or dispute shall be governed by the laws of the State of New York, U.S.A. Venue shall be in Erie County, New York, and the action shall be brought in the New York State or Federal courts and Buyer consents to the jurisdiction of the New York State and Federal Courts. Buyer is solely responsible for the manner of use of the products and other equipment purchased from Seller. Buyer is solely responsible for all signage, labels, and warnings to consumers or other users of the products and equipment, and for any and all other acts necessary, including user warnings and limitations (e.g., weight, height, age, number of participants, and medical condition limitations), to ensure the safety of the users. Buyer acknowledges that its has received, read and fully understands all necessary instructions for the safe setup and operation of Seller’s product or device. Buyer agrees to operate Seller’s product or device according to the instructions established by Seller or manufacturer. Buyer agrees to operate their product or device according to all state and local requirements. Buyer agrees to train any person(s) operating the product or device in the safe operation of the product or device including safe handling of emergency situations. Buyer shall use proper stakes, tie-downs, and other applicable devices necessary to ensure the safety of users and the general public. TO THE FULLEST EXTENT PERMITTED BY LAW, BUYER AGREES TO INDEMNIFY, DEFEND, PROTECT, RELEASE AND HOLD HARMLESS SELLER AND ITS RESPECTIVE PARENT AND AFFILIATE COMPANIES, PARTNERS, SUCCESSORS, ASSIGNS, LEGAL REPRESENTATIVES, OFFICERS, DIRECTORS, SHAREHOLDERS, AGENTS, EMPLOYEES AND INSURERS (COLLECTIVELY “INDEMNITEE”), FROM AND AGAINST ANY AND ALL CLAIMS, DEMANDS, LOSSES, DAMAGES, CAUSES OF ACTION, SUITS AND LIABILITIES OF EVERY KIND, INCLUDING ALL EXPENSES OF LITIGATION, COURT COSTS, AND ATTORNEY’S FEES, FOR INJURY TO OR DEATH OF ANY PERSON, OR FOR LOSS OR DAMAGE TO ANY PROPERTY (INCLUDING WITHOUT LIMITATION, CLAIMS FOR POLLUTION AND ENVIRONMENTAL DAMAGE), AND ANY CIVIL OR CRIMINAL FINES OR PENALTIES, ARISING IN FAVOR OF ANY THIRD PARTY OR GOVERNMENTAL AGENCY OR ENTITY, OR ANY INDEMNITEE AND THEIR EMPLOYEES’ REPRESENTATIVES AND BENEFICIARIES, IN CONNECTION WITH OR ARISING OUT OF, DIRECTLY OR INDIRECTLY, OR IN ANY WAY INCIDENTAL TO THE PERFORMANCE OF THIS AGREEMENT OR THE GOODS AND SERVICES PROVIDED HEREUNDER (COLLECTIVELY “LIABILITIES”). IT IS THE INTENTION OF SELLER AND BUYER THAT SUCH INDEMNITY SHALL APPLY REGARDLESS OF WHETHER THE LIABILITIES ARISE IN WHOLE OR IN PART FROM THE ACTUAL OR ALLEGED COMPARATIVE, CONCURRENT, ACTIVE, PASSIVE, OR CONTRIBUTORY NEGLIGENCE OF INDEMNITEE. THIS INDEMNITY INCLUDES BUYER’S AGREEMENT TO PAY ALL COSTS AND EXPENSES OF DEFENSE, INCLUDING WITHOUT LIMITATION ATTORNEYS’ FEES, INCURRED BY ANY INDEMNITEE. THIS INDEMNITY SHALL APPLY, WITHOUT LIMITATION, TO ANY LIABILITIES IMPOSED ON ANY PARTY INDEMNIFIED HEREUNDER AS A RESULT OF ANY STATUTE, RULE, REGULATION OR THEORY OF STRICT LIABILITY INCLUDING, BUT NOT LIMITED TO, STRICT PRODUCTS LIABILITY OR STRICT STATUTORY LIABILITY. THE OBLIGATION OF INDEMNIFICATION HEREUNDER SHALL INCLUDE, BUT NOT BE LIMITED TO, THE FOLLOWING: (I) LIENS BY THIRD PERSONS AGAINST ANY INDEMNITEE AND THEIR PROPERTY, BECAUSE OF LABOR, SERVICES, MATERIALS, OR ANY OTHER TYPE OF LIEN, FURNISHED TO BUYER, ITS ASSIGNEES, CONTRACTORS OR SUBCONTRACTORS, IN CONNECTION WITH THE GOODS SUPPLIED BY SELLER, (II) EXPENSES, CLAIMS, FINES, AND PENALTIES OR OTHER ENFORCEMENT CHARGES, RESULTING FROM THE FAILURE OF BUYER TO ABIDE BY ANY AND ALL VALID AND APPLICABLE LAWS, RULES OR REGULATIONS OF ANY GOVERNMENTAL OR REGULATORY AUTHORITY WITH JURISDICTION. IT IS UNDERSTOOD AND AGREED BY BUYER THAT IN THE EVENT ANY INDEMNITY IS MADE A DEFENDANT IN ANY SUIT, ACTION OR INDEMNIFIED PURSUANT TO THIS AGREEMENT, AND BUYER FAILS OR REFUSES TO ASSUME THE DEFENSE THEREOF, THAT INDEMNITY MAY PROCEEDING FOR WHICH AN INDEMNITY IS COMPROMISE AND SETTLE OR DEFEND ANY SUCH CLAIM, AND BUYER SHALL BE BOUND AND OBLIGATED TO REIMBURSE INDEMNITY FOR THE AMOUNT EXPENDED BY INDEMNITY IN SETTLING AND COMPROMISING ANY SUCH CLAIM, OR FOR THE AMOUNT EXPENDED BY INDEMNITY IN PAYING ANY JUDGMENT RENDERED THEREIN, TOGETHER WITH ALL REASONABLE ATTORNEYS’ FEES INCURRED BY INDEMNITY FOR DEFENSE OR SETTLEMENT OF SUCH CLAIM. ANY JUDGMENT RENDERED AGAINST INDEMNITY OR AMOUNT EXPENDED BY INDEMNITY IN COMPROMISING OR SETTLING SUCH CLAIM SHALL BE CONCLUSIVE AS DETERMINING THE AMOUNT FOR WHICH BUYER IS LIABLE TO REIMBURSE SUCH INDEMNITEE HEREUNDER. ALL REPRESENTATIONS, WARRANTIES, INDEMNITIES AND OTHER UNDERTAKINGS OF BUYER AND ALL CLAIMS, RIGHTS AND REMEDIES OF SELLER SHALL SURVIVE DELIVERY, PERFORMANCE INSPECTION, TESTING, ACCEPTANCE, USE AND PAYMENT. It is agreed with respect to any legal limitations now or hereafter in effect and affecting the validity or enforceability of the indemnification obligations under this Agreement, such legal limitations are made a part of the indemnification obligations and shall operate to amend the indemnification obligations to the minimum extent necessary to bring the provisions into conformity with the requirements of such limitations, and as so modified, the indemnification obligations shall continue in full force and effect. Buyer agrees to pay all of Seller’s costs, including attorney’s fees, incurred in enforcing this agreement. These Tentandtable.com, LLC TERMS AND CONDITIONS OF SALE will survive beyond the date of this signed document or the date that customer clicks that they agree on the website, and apply to all existing and future products sold by Tentandtable.com, LLC (“Seller”) to customer. This document Copyrighted 2016, supersedes any existing document both written and published by “Seller” in any sales literature, mailings or website.